George W. Bush Has Heart Procedure; Stent Inserted : The Two-Way A blockage was discovered during his annual physical exam this week. The 67-year-old former president had surgery Tuesday. He's expected to be released from a Dallas hospital on Wednesday and to return to his normal schedule Thursday. Former President George W. Bush at the April dedication of his presidential library in Dallas. "Former President George W. Bush has successfully undergone a heart procedure after doctors discovered a blockage in an artery," The Associated Press writes. According to the wire service, "Bush spokesman Freddy Ford says a stent was inserted during a procedure Tuesday at Texas Health Presbyterian Hospital in Dallas. The blockage was discovered Monday during Bush's annual physical at the Cooper Clinic in Dallas, where the nation's 43rd president lives." "President Bush is in high spirits, eager to return home tomorrow and resume his normal schedule on Thursday. He is grateful to the skilled medical professionals who have cared for him. He thanks his family, friends, and fellow citizens for their prayers and well wishes. And he encourages us all to get our regular check-ups." 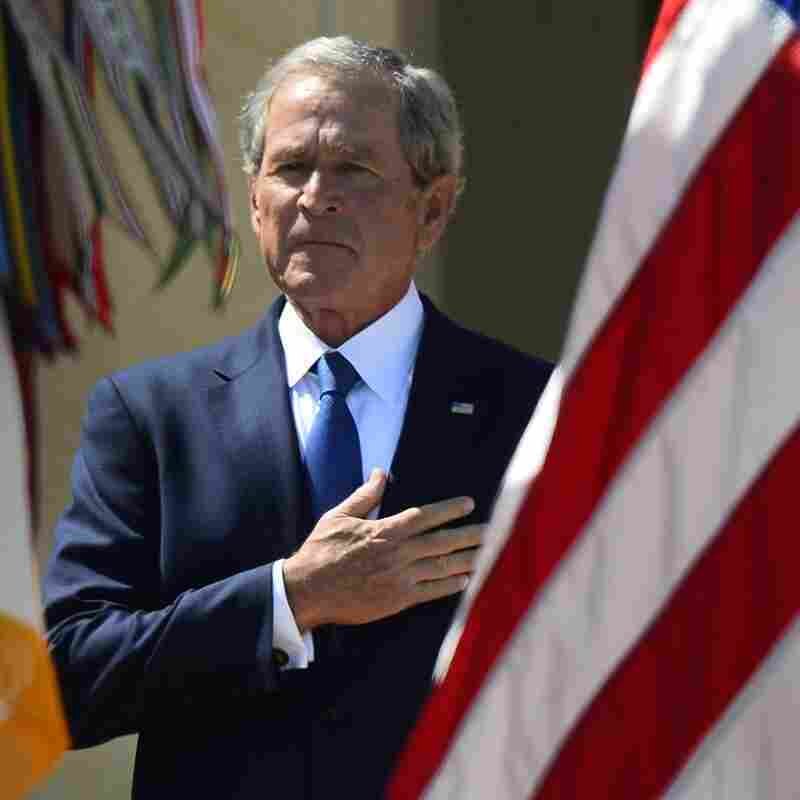 "During President George W. Bush's annual physical examination at the Cooper Clinic in Dallas yesterday, a blockage was discovered in an artery in his heart. At the recommendation of his doctors, President Bush agreed to have a stent placed to open the blockage. "The procedure was performed successfully this morning, without complication, at Texas Health Presbyterian Hospital. President Bush is in high spirits, eager to return home tomorrow and resume his normal schedule on Thursday. "He is grateful to the skilled medical professionals who have cared for him. He thanks his family, friends, and fellow citizens for their prayers and well wishes. And he encourages us all to get our regular check-ups."